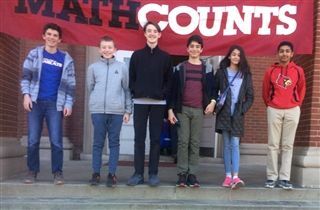 KCD’s middle school MathCounts team competed in the state championships on March 23, taking eight place overall. This top-ten finish follows and second place regional finish in February. Congratulations to Daniel Bronfman, Emaan Sayied, Armaan Rai, Hugh Kuffner, Evan Davis, and Aryan Agahtehran for making it to state and competing to so well for KCD!